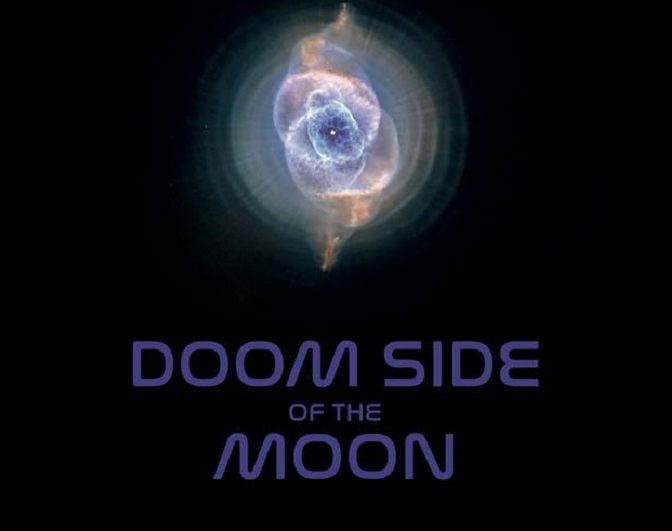 Doom Side of the Moon has announced a few tour dates this Fall and are now gearing up to bring their live show with a laser light spectacular to select U.S. cities in Texas, Colorado, and New York. If somehow unaware of this Austin-based Pink Floyd tribute band, you’re definitely in for a treat if anywhere near these dates. Doom Side of the Moon features three-quarters of the members of heavy rock influencers The Sword – including DSOTM project-founding guitarist Kyle Shutt – alongside members of Brownout / Brown Sabbath, and other acts, Doom Side of the Moon rocked many surprised minds last year with its “heavy metal tribute to Pink Floyd” self-titled début LP. The tribute album made ceremony of the legendary psychedelic rock band’s 50 year history and the band had its live début in their home-base in August 2017, with a sold out performance at Austin’s legendary Emo’s venue. Now they’re taking it to new towns. Doom Side of the Moon is Kyle Shutt (guitar), Bryan Richie (bass), Santiago “Jimmy” Vela III (drums), Alex Marrero (vocals), Jason Frey (saxophone), and Joe Cornetti (keyboards). Engineered and mixed by Stuart Sikes (White Stripes, Rocket From The Crypt), the album ‘Doom Side of the Moon‘ was released on August 4, 2017, the date which marked the 50th anniversary of the release of Pink Floyd’s début album, ‘The Piper at the Gates of Dawn’. In addition to a Billboard Top 200 début at #81, ‘Doom Side of the Moon‘ debuted at #3 on Billboard’s Top New Artists chart, at #8 on Billboard’s Hard Music chart and at #23 on Billboard’s Rock Music chart. The band followed the successful début last January, with the release of a later EP, appropriately titled ‘Encore‘. Find all Doom Side Of The Moon releases and merch info [HERE]. Check out a full album ‘Doom Side of the Moon‘ visualizer and find the tour dates below.